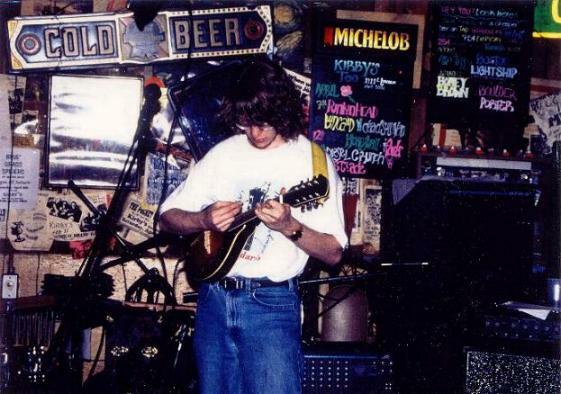 (Picture circa 1996) "Mandolin Song" was always one of my favorite tunes to play live with Sign of Saturn, as the mandolin solo usually got extended quite a bit, and turned out different each night. (More recently, you can probably tell, I've been engineering more jazz elements into my music for this same effect.) Anyway, this is me playing during the Sign of Saturn era at the tiny "Kirby's" bar in Wichita, KS.